At fourteen she lived with her boyfriend. At twenty-four she starred in Girl, Interrupted, in a role that closely mirrored her own addicted, mentally unstable persona. The next few years brought an incestuous kiss, a nervous breakdown and that infamous vial of blood. At the time, no one could have predicted that Angelina Jolie would become one of the most revered mothers in Hollywood, matron to a cosmopolitan brood of well-travelled, well-educated children whose budding social consciences so clearly mirror her own. In connection with our newest course, Tiny Habits for Moms, we’re examining the lives of extraordinary women and mothers to discover how they do what they do, and how we can tap into their most successful strategies. At first glance, following in Jolie’s footsteps may seem unrealistic. After all, how many of us have homes on multiple continents, a bevy of nannies and tutors, and a net worth in the hundred millions? Jolie herself has spoken out about the privileges she enjoys as a celebrity mother. 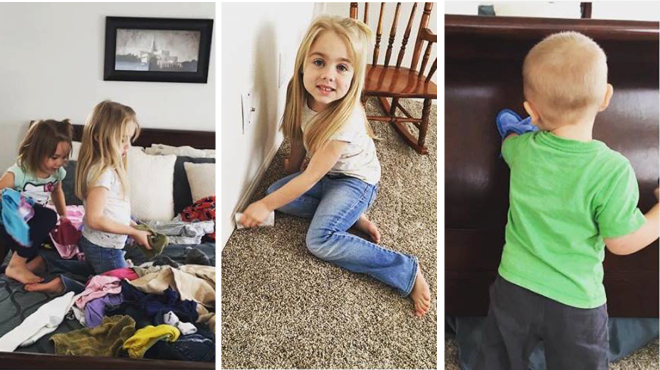 However, her daily routine also includes sticker charts, bedtime stories and those elusive few moments alone in the shower that we all look forward to. And her rocky past is evidence that this star’s life has not been all starring roles and handsome husband. If there’s anything we can learn from this amazing mom, it’s how to learn from your past, but not allow it to define your future. Jolie accompanied her mother to her first Amnesty International dinner at nine years old. When her work as an actress took her to high-conflict areas, she was deeply impacted by the tragedy she saw there. In the past 15 years she has served as a UNHCR Goodwill Ambassador and as an advocate for refugees around the world. Instead of shielding her children from the harsh reality of her humanitarian work, she makes it a priority to include them. “My children have been to post-conflict situations and they’ve been to refugee camps with me…when I go on U.N. missions, I always sit down with them and explain to them why I’m going,” she said in a Popcorn Biz interview. In fact, her 14-year-old son Maddox will help to research the history of conflict in his birth country, Cambodia, for her upcoming Netflix film First They Killed My Father. You don’t have to travel the world to raise compassionate children who care about important causes. Make a habit of discussing current events with your children over dinner, and look for ways that they can make a difference right in your own community. After I check my email I will read a news article. After we sit down to dinner, we will share an act of service we did that day. Coming Home was a defining film in John Voight’s career, but it’s one Jolie will never see. “Because that was when my father left my mom, and the woman who he cheated on her with is in the film,” she shared in Vogue magazine. She and Pitt are determined that their on-screen lives will never take a similar toll on their own relationship. Instead of bringing the stress of work home with them, they allowed their home life to pull them out of their dysfunctional roles and back into the strength of their own union. “As soon as we got home, it was bedtime stories, children’s needs and problems, the fights they’d had during the day. We had to immediately snap back to something that was uniting and positive and loving,” she says. After my spouse walks in the door, I will give them a hug or a kiss. After we put our dishes in the dishwasher, we will put the leash on the dog (and go for a walk together). Growing up, Jolie had a close relationship with her mother, actress Marcheline Bertrand, but otherwise felt isolated. Her relationship with her father vacillated between tense, explosive and nonexistent. In contrast, the Jolie-Pitt family seems to be everything Jolie’s was not – large, warm and supportive. “I suppose I’m giving them the childhood I always wished I had,” she says in Vanity Fair. Though they have plenty of help, she and Pitt remain very involved in their kids’ lives. 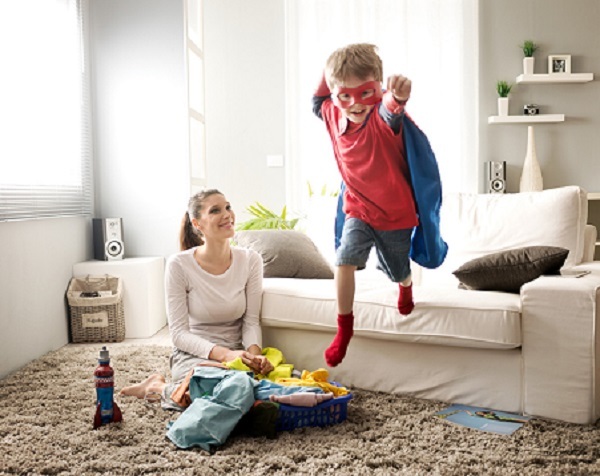 Every parent is aware that childhood is fleeting, but it can be difficult to connect regularly amid the chaos of school drop-offs, music lessons, sports and homework. Set the stage for meaningful interactions by removing distractions and building opportunities to connect into your daily routine. After I pick up my kids from school I will put my phone on airplane mode (so I can listen without distractions). After I take the laundry from the drier I will ask one child to help me fold it (a great chance for one-on-one conversation). If there’s anything we can learn from Jolie’s journey, it is that life is, in fact, a journey. From Girl, Interrupted to By the Sea, Jolie has never allowed herself to be defined or limited by a role or by who the public perceived her to be. As mothers, we too can choose the manner in which we will allow our upbringing and our own past to influence our present. Are you ready to write a new plot for yourself and your family? 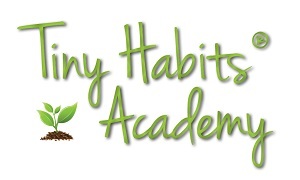 Join us in the next session of Tiny Habits for Moms to learn how to transform your days and your life. For a sneak-peek at how the Tiny Habits method works for moms, tune in to my interview on the Power of Moms podcast. For more Tiny Tips, click here.